The Probate Judge is responsible for issuing marriage licenses in Jefferson County. A marriage license is required for a marriage to be legally recognized in the State of Alabama. Marriage licenses may be obtained at the office of the Judge of Probate, Jefferson County at the Probate Court in Birmingham and in Bessemer. Applicants may apply in person at both courthouses, or on-line at this link. On-line applicants (both) must still appear in person to pay fees, show identification and collect the license. Parties aged 16-17 must provide a certified copy of their birth certificate and be accompanied by both parents. Both parents must provide a photo I.D. If one or both parents are deceased, proper evidence of such must be provided. Parties aged 18 years + must provide a valid government issued photo I.D. i.e. Driver’s license, Non-Driver’s license, Passport. The filing fee is $84.50. Payment types accepted are cash, credit and debit cards. No checks are accepted. 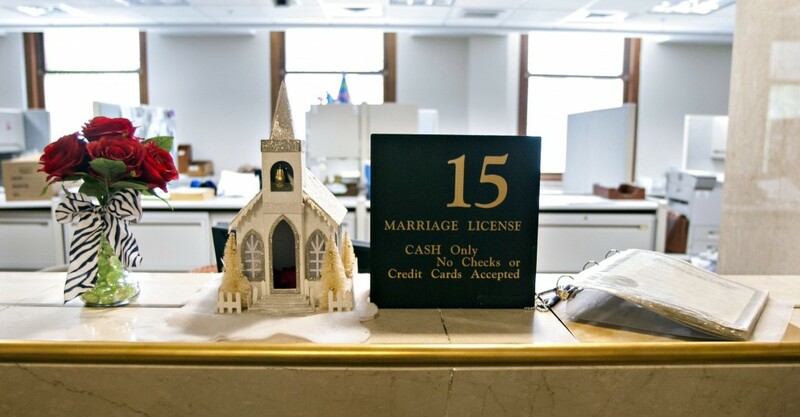 A marriage license issued in Jefferson County is valid only in the State of Alabama. The license expires in thirty (30) days from the issuance date. You must give the license to the person performing the marriage ceremony. The person performing the ceremony will complete the relevant portion of the license and return it to the office of the Judge of Probate in a self-addressed envelope provided with the license. Probate Court personnel will record your marriage license and mail you a marriage certificate (certified copy) in the envelope that you will address when you apply for the license. We will also mail the license to Montgomery after our records are completed. Please check the marriage license very carefully for errors. After the license has been forwarded to Montgomery, you must have court action to make any corrections. A spouse can use the certified copy of the license you will receive from us to have their name changed on the driver’s license, social security card and other records. Ceremonies can be performed at the Birmingham courthouse by an on-site minister and by the Probate Judge in the Bessemer Courthouse by appointment. The on-site ministers in Birmingham are not Jefferson County employees, and maintain their own schedules. Arrangements between parties being married and the ministers are a private matter and do not involve Jefferson County. You may obtain a copy of Marriage Certificates issued in Jefferson County from June 1985 forward at either division of Probate Court. Records issued prior to this date may only be obtained from the office where the license was issued. The fee is $3.00. You may request a copy through the mail if you send the fee along with a self-addressed stamped envelope.